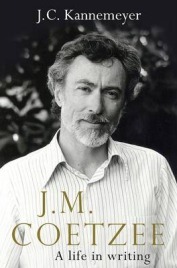 The South African writer J. M. Coetzee is a notoriously private and quiet man. In a 1990 profile by journalist Rian Malan, it was noted that “a colleague who has worked with him for more than a decade claims to have seen him laugh just once. An acquaintance has attended several dinner parties where Coetzee has uttered not a single word.” For there to be a new and official biography (A Life in Writing) of the Booker and Nobel prize-winning author is therefore quite surprising. For it to be done with the full and enthusiastic cooperation of Coetzee himself is remarkable – publisher Scribe even go so far as to describe it as a “global publishing event”. Curiously, despite his unwillingness to be interviewed about his private life prior to the publication of this new biography, Coetzee has produced a trilogy of novels that he describes as “fictionalised memoir”: Boyhood (1997), Youth (2002) and Summertime (2009). Any crime fiction fan will realise that the number of crime novels and writers that a book on the genre might cover is enormous, and that anyone writing such a book is going to have to make some really hard decisions on who or what to write about. The title of this “handbook” led me to expect a more scholarly version of the Rough Guide to Crime Fiction aimed at the general reader. 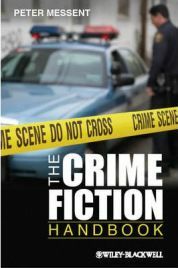 In fact, the approach and style is more that of a textbook for an introductory course on crime fiction. Peter Messent is a retired academic (Emeritus Professor of Modern American Literature at the University of Nottingham) who used to teach a crime fiction module to students in the US and Britain. About half of this 200 page book is about the politics, main forms and key concerns of crime fiction. A few years ago whilst visiting a friend in Lisbon, we were lucky enough to see an exhibition of Frida Kahlo’s work at the city’s Centro Cultural de Belem. At the time my husband was really excited because he’d bought a load of Taschen artist profile books and had just been reading up about Frida. He knew her paintings from the pages of a book and not from actually standing in front of them. Last summer whilst visiting a big museum in the North East, I saw a book which contained photos of Frida, Diego and their friends, gulped at the price, returned home and put it on my Amazon wish list. For Christmas I picked up a second hand copy for my husband and when I finally got round to looking at it, I realised very quickly that the photographs would mean a lot more to me if I knew more about Frida. 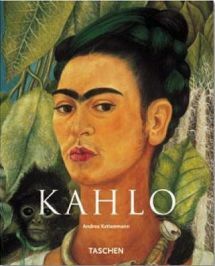 I went to the bookshelf with all our art books and pulled down Andrea Kettenmann’s book, Frida Kahlo, Pain and Passion. Herbert Ypma is a design guru and the man behind the popular ‘Hip Hotel’ guides. If Herbert says it’s hip, the world listens to this arbiter of fashion. Herbert was born in the Netherlands which is pretty ironic given how rubbish Dutch hotels tend to be but fortunately for the world of fashionable accommodation, his family moved to New York when he was six years old. I have a bunch of his hotel guides though I must confess I don’t really use them very much tending to find them attractive eye candy rather than usable guides. 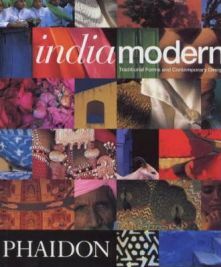 So strong is his association with the hotel trade that I was quite surprised when I realised that he had edited this book, Indiamodern – Traditional Forms and Contemporary Design which is published by Phaidon. 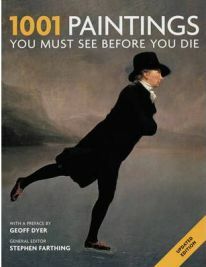 I think I have come to 1001 Paintings You Must See Before You Die a little late in life, although I have seen a fair few of them already. Flicking through the pages for the first time, however, I could say for certain that there are plenty I have no wish to see, however significant they are considered to be. Others I will have to be content to see purely as reproductions in a book such as this one. Much as I would love to visit the Museum of Modern Art in New York, for instance, I think it is unlikely I shall ever do so. There again, if I needed an excuse to make another visit to Paris one day I now have one, as I have yet to go to the Musee d’Orsay. The book begins with a two-page preface by Geoff Dyer, followed by a four-page introduction by the editor, Stephen Farthing. 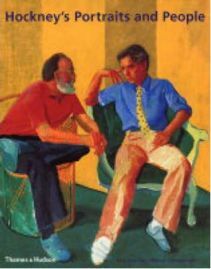 Concentrating on just one aspect of artist David Hockney’s work, Marco Livingstone and Kay Heymer’s Hockney’s Portraits and People nevertheless contains a huge amount of variety. Of the 246 illustrations, 233 are in colour. Some of the works are well known, but others are published here for the first time. Some depict the famous, such as Christopher Isherwood, W.H. Auden, and Andy Warhol, as well as Henry Geldzahler and Celia Birtwell, both great friends of Hockney. Portraits of lovers and family members also make up a considerable part of the works reproduced in the book, and there are quite a few self-portraits. The title Simply Beautiful Photographs is of course self-explanatory. 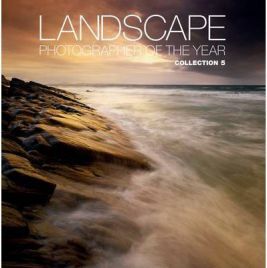 This book is a National Geographic publication, a hardcover book containing superb images printed on high quality paper. It is just asking to be consumed, but there is of course no way anyone could take in all of its images at once. It is the kind of book to dip into every so often, and every time you do you are bound to come across an image that surprises or delights you and is totally different from the ones you poured over on the previous occasion. 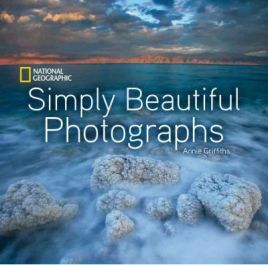 Simply Beautiful Photographs begins with a foreword by Maura Mulvihill and a seven-page introduction, after which it is divided into six sections entitled Light, Composition, Moment, Time, Palette and Wonder. 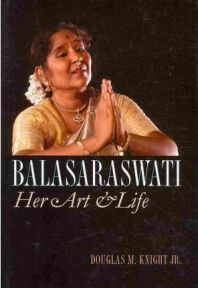 Balasaraswati was unique in that she was one of the few lightbearers for her community of dancers and represented a form that was almost lost after Independence took Bharat Natyam over and brought it within strict, almost sanitized guidelines. Balasaraswati along with Rukmini Devi Arundale belonged to the form’s renaissance. She came from the matrilineal devidasi tradition of South India, which like Indian classical music performed by the courtesans of Delhi and Lucknow, has a long heritage of artistic practices. Before she turned thirty, this dancer had become a legend in her own time. However she and her family relocated to the United States in an attempt to preserve what had been handed down to them through the generations, which was gradually being sidelined in the post 1950’s since it was seen as being very far from the mainstream. 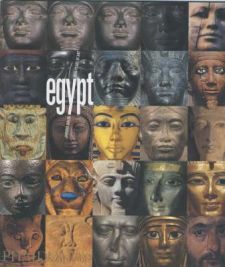 My husband knows I love big lavish picture books that you can dip in and out of at will and a couple of years ago he bought me a big chunky picture book called Egypt – 4000 Years of Art by Jaromir Malek. He got it from the Phaidon shop at Bicester Village outlet centre and swears he didn’t pay much for it. Perhaps he was hoping it would inspire me to book a trip to Egypt but so far it’s not worked its magic on me. Jaromir Malek is the Keeper of the Archive at Oxford’s Ashmolean Museum, one of my favourite museums and a place where I always hunt down the mummies and have a good gawp at the Egyptian section. The competition gives photographers the opportunity to enter all or some of four categories. First is the “classic view,” which should demonstrate the ‘beauty and variety’ of the British landscape. The Art of the Picts by George Henderson and Isabel Henderson is an in-depth look at the art of the Pictish peoples, who lived in Scotland in the 6th to 9th centuries. Both authors are renowned experts in the field, so we can be assured that we are in good hands. 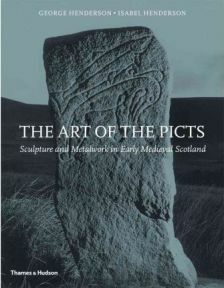 First published in hardback form in 2004, The Art of the Picts is now being published in a more manageable paperback format. I have been reading the paperback edition, due for publication in August 2011, and given the weight of it I am glad I didn’t attempt the hardback. The book is divided into ten chapters that are arranged chronologically, going from “1900-1913: Undulations and Exotica” in Chapter 1 up to “2000-: Planet Fashion” in the final chapter.